We turned 9 years old this week! 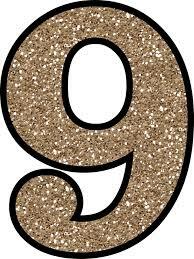 We are turned 9 years Old this week! We have been there,done that and we celebrate 9 years of Ritetrac Consulting! We celebrate our God,Team Members,Clients,Partners and Stakeholders for these years of growth in our business. Without you,we would not have come this far. 1. PERSIST: In the first 3 years of our business we did not make substantial Profits. But we applied the principle of persistence that this quote depicts "Never ever Give up"
2. KEEP LEARNING: To stay ahead you need to be a reader and life long learner. Sharpening your skills is a gift that keeps on giving. 3. INNOVATE: Always question the Status Quo. Ensure you and your teams are always thinking outside the box!